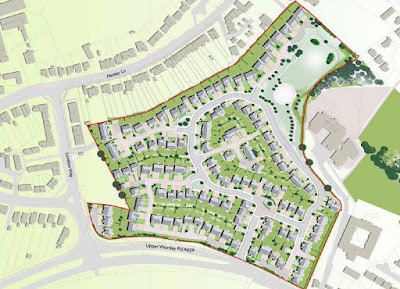 National housebuilder, Jones Homes, has submitted plans for a large scale development of 144 houses in Rotherham. 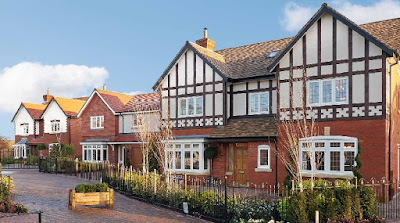 Currently building more than 600 homes a year in the UK, the private, family-owned property development company based in Cheshire also has regional offices in Kent, Yorkshire and Lancashire. Jones Homes (Yorkshire) has recently submitted a detailed planning application for a 5.8 hectare site at Thorpe Hesley, close to junction 35 of the M1. The developers have been in discussion with Rotherham Council over the parcel of land located off Upper Wortley Road for a number of years as the authority progresses its Local Plan. The site, which sits alongside junior and infant schools, was previously designated within the Greenbelt. In the new plan, the site is allocated for residential with an indicative number of houses of 137. The application, drawn up by Spawforths, states: "The proposals comprises 144 dwellings with associated car parking, garages, access and landscaping, open space and drainage provision. The proposed 144 dwellings will be served from Upper Wortley Road by means of a new priority junction. The proposals will provide a mix of two, three, four and five bed properties." The plans will be eligible for the Community Infrastructure Levy (CIL), which was introduced by Rotherham Council in July 2017. The Council is happy that the application complies with the affordable housing policy of 25% affordable housing on site. Open space will be provided in the north eastern section of the site bordered by the infant school. The schools have been in discussion with the applicants over traffic and the changes to road systems. With new access, the development also proposes to provide 14 car parking spaces within the site as a school car park. The applicants state that "the current issues with school drop-off parking along Upper Wortley Road is an existing issue which the proposal will not contribute to as the properties will be within walking distance of the school." The plans conclude: "The proposal for residential development on the site is appropriate in the context of the area, and sits within an established residential area with housing to the north, east and west of the proposed site. Whilst it will change the character and appearance of the area, the proposals are of a scale and design appropriate to the form and character of the immediate locality and will be well related to existing development in Thorpe Hesley." Jones Homes is part of The Emerson Group. Its most recent Rotherham development is at Parkstone Place, South Anston.